Shop online for 102 city-classics model trains at discounts up to 31%. Buildings is the most popular of the 3 city-classics model trains categories, then Roadway, and Railroad Scenery. 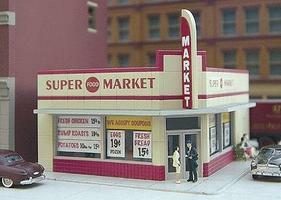 This is the HO Scale West End Market Kit (3-7/8 x 5-1/8 x 2-3/8'' 9.8 x 13 x 6cm) by City Classics. 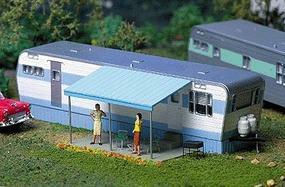 This is the HO Scale Robert's Road 1950s Mobile Home Kit by City Classics. 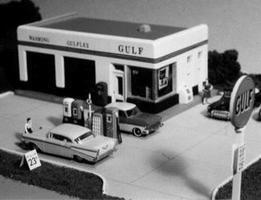 This is the HO Scale 1930s Crafton Avenue Service Station Kit (5 x 3 x 2'' 12.5 x 7.5 x 5cm) by City Classics. 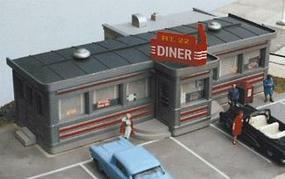 This is the HO Scale Route 22 Diner Kit (6-1/2 x 4 x 2'' 16.5 x 10 x 5.1cm) by City Classics. 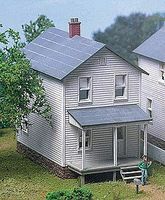 This is the HO Scale East Ohio Street Building Kit (5-1/4 x 3-1/2 x 9'' 13.4 x 8.9 x 22.9cm) by City Classics. 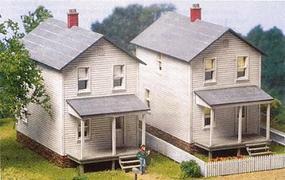 This is the HO Scale Railroad Street Company House 3-Pack Kit (Each 2-1/4 x 5 x 3-3/4'' 5.7 x 12.7 9.5cm) by City Classics. This is the HO Scale Venetian Blinds & Pull Shades Small & Medium Width For Windows (1/4" to 3/8" wide up to 1-1/4" tall) (50) from City Classics Kits. This is the N Scale Crafton Avenue Service Station Kit (3-1/4 x 2 x 1-1/4'' 8.1 x 5 x 3.1cm) by City Classics. This is the HO Scale Penn Avenue Tile-Front Building Kit (3-1/2 x 5-1/4 x 9'' 8.8 x 13.4 x 22.9cm) by City Classics. This is the HO Scale Smallman Street Warehouse Kit (8-1/2 x 6 x 6'' 21.6 x 15.2 x 15.2cm) by City Classics. This is the HO Scale Grant Street Iron-Front Building Kit (5-1/4 x 3-1/2 x 9'' 13.4 x 8.9 x 22.9cm) by City Classics. This is the HO Scale Corner Braces for Building Interiors (12 Standard Corners & 4 Reversed Corners) (1 x 1'') by City Classics. This is the HO Scale Crooked and Uneven Window Blinds (5/16 to 1/2'' Wide) from City Classics Kits. This is the HO Scale Venetian Blinds & Pull Shades Large For Windows (7/16" to 9/16" wide up to 1-1/4" tall) (36) from City Classics Kits. This is the HO Scale Small Curtains For Windows (1/4" wide up to 13/16" tall) pkg(70) from City Classics Kits. This is the HO Scale Baum Boulevard Art Deco Building Kit (5-1/4 x 3-1/2 x 9'' 13.4 x 8.9 x 22.9cm) by City Classics. This is the HO Scale Large Curtains For Windows (5/16" & 3/8" wide up to 1-1/8" tall. Over 50 curtains in blue, white and beige) from City Classics Kits. This is the HO Scale Extra-Wide Blinds for windows (3/4" to 15/16" wide up to 1-1/4" tall) (25) from City Classics Kits.